Big news on the nuclear energy front this week was PG&E’s announcement that they were going to shut down the two nuclear reactors at the Diablo Canyon Power Plant when its license from the Nuclear Regulatory Commission (NRC) expires in 2025 rather than seek a renewal. 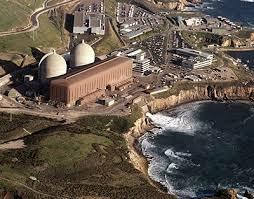 Initial operating licenses for the US fleet of nuclear plants are for 40 years (Diablo Canyon went online in 1985). Typical practice is to apply for a 20 year license renewal, and history has shown that getting such a renewal from the NRC is relatively straightforward. This announcement is a huge win for environmental activists and nuclear power opponents who have fought against the plant since it was first proposed in 1958. It’s obviously a huge blow to the nuclear power industry that has been besieged by challenges over the last few years, including the Fukushima disaster in 2011, the dramatic drop in natural gas prices, and the boom in renewable energy investment. But there is another big loser in this decision – the environment and the fight against climate change. Diablo Canyon produces approximately 9% of California’s electricity, about 18 Terrawatt hours (18,000,000,000 KWh) per year. And all of that is clean energy that doesn’t pollute the atmosphere and is produced with no carbon dioxide (CO2) emissions that are the primary contributor to global warming. The deal calls for PG&E to replace Diablo Canyon’s production with investments in renewable energy and energy efficiency. But how does this deal make sense given the huge challenges in the coming years to reduce CO2 emissions and fight climate change? Why isn’t the deal to invest in renewable energy AND energy efficiency AND continue to operate Diablo Canyon for another 20 years? Why not use these investments to replace other fossil fuel sources of electricity that aren’t as environmentally friendly as nuclear power? As a general point of reference, it should be noted that to replace Diablo Canyon’s yearly power output will require over 1,000 of the largest wind turbines currently available. There is still a chance that the California Energy Commission, the California Public Utility Commission, PG&E shareholders or Governor Brown will fight this deal. But for now the Friends of the Earth, the Natural Resources Defense Council, Environment California, and the Alliance for Nuclear Responsibility are gloating. It should be noted that not all environmentalists support this deal. Please visit Friends of Diablo Canyon, a group of independent scientists and conservationists in California and from around the world who are concerned that PG&E — under pressure from political officials — will close California’s largest source of clean electricity. OWOE urges everyone who is truly interesting in the environment and fighting global warming to sign their open letter to State leaders and PG&E. Coming on top of the announcement by Southern California Edison (SCE) in June 2013 that the San Onofre nuclear plant was being permanently shut down, the score as OWOE sees it is: Environmental activists 2 – the Environment 0.